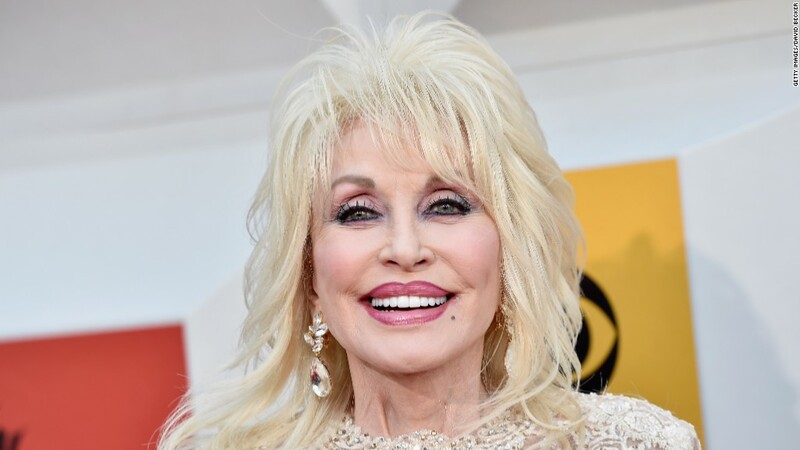 Dolly Parton has been minding her own business for half a century. "As soon as I could, I started my own publishing company, got my own record label," Parton told CNNMoney's Christine Romans. "I think it's important, if you can, to keep all of your goods close to home where you can control them and know what's happening with them." The Grammy-winning singer and songwriter is releasing her 90th album on Friday, "Pure & Simple." Parton took control of her prolific career early on and paved a path other recording artists -- particularly women -- have tried to follow. Parton has been credited with putting some cracks in the music industry's glass ceiling, but she credits her music. "Music, in general, really helped pushed through many ideas. Even in the [song] '9 to 5' -- where it's equal pay for equal work -- we've come a long way since then," Parton said. "I don't care whether it's your race, whether you're green, blue, black, red, or alien gray, or whether you're male or female, or transgender," she added. "If you do work, you should be paid and appreciated for it." Parton generally keeps her political views private. She said she hasn't decided who she'll vote for in the upcoming presidential election, but did offer her opinion on the campaign season. "I think it's the craziest thing I've ever seen in my life," Parton said. "The only thing that saves us all is the fact that we do know we're great. This is a great country. It's not just up to one person, whoever gets in the White House. They're not going to be able to do it all." Parton, however, still seems to. She'll kicks off a 60-stop tour for her new album in September.